A Yorkshire seaside resort town, with a newly built promenade and European Blue Flag beach. Come to the delightful seaside resort of Withernsea, for exceptionally clean waters! 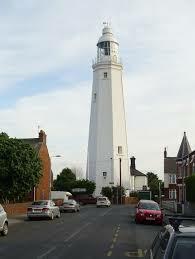 Above the terraced houses on the seafront is the famous whitewashed lighthouse, also, home of the Lighthouse Museum. The area is a delight for bird-watchers, and, boat-lovers, on the banks of the River Humber. Alternatively, visit the location of the only constantly manned lifeboat station which watches over the busy Humber Estuary. Withernsea has miles and miles of sandy beaches, small-town hospitality and family friendly entertainment. Take long walks across the promenade, playgrounds and visit an open-air theatre: ideal for a quiet family vacation. While, in the South of the town is the Spurn Peninsula. The Spurn National Nature Reserve is a 3-mile splint of shingle with butterflies, plants, seals and birds. 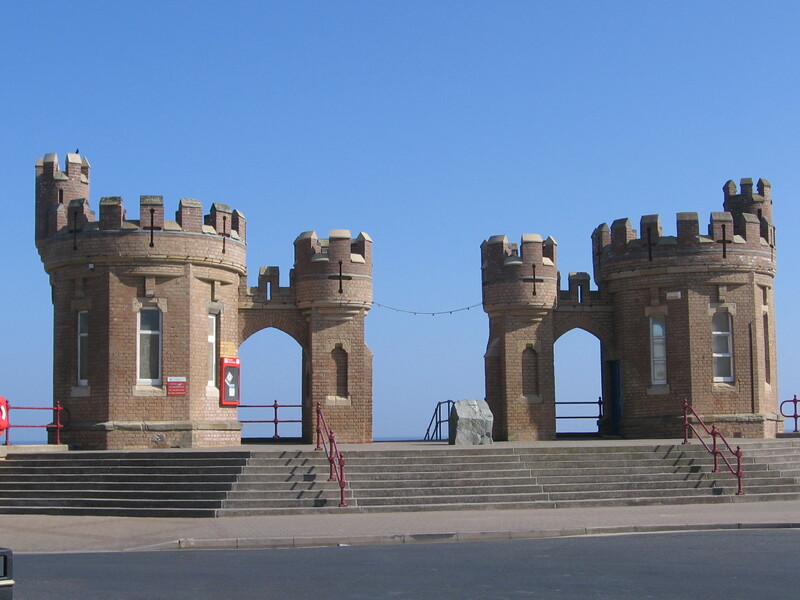 Visitors are welcome at Withernsea’s lighthouse, one of a few that were built inland. It stands in the middle of the town and rises 127 feet (38m) high over the rooftops. No longer in active service, it houses a collection of exhibits from the RNLI Lifeboat and HM Coastguard history. Old photographs and models of how Withernsea used to look make another interesting browse. Visitors can labour up the 144 steps for some breathtaking views as far as the Humber Bridge, some 23 miles further inland. Withernsea is a delightful community full of Yorkshire charm. The shops on Queen Street are busy with local exchange and the market has an excellent array of produce. Two tower-like entrance structures mark memories of the 19th century pier. After several wintry storms and countless collisions by fishing vessels, the 364-metre long pier became shorter and shorter until the last 15 metres were demolished completely. The amusements now occupy the modern seafront arcades. Just outside of Withernsea the open countryside of the East Riding of Yorkshire provides excellent walking on the moorland and open countryside. The historic towns of either Hedon, or, Hornsea, make interesting days out. Find RAF Holmpton on the outskirts of the town, a massive nuclear bunker, built in the 1950s, which now offers award-winning guided tours. Tour nearby Fort Paull, another excellent 500-year old Napoleanic fort on a 10-acre site, just outside Kingston upon Hull. Finally, the port of Hull offers many cultural activities and entertainment including a theatre, nine free museums and art galleries and many more parks and gardens. The Hull and East Riding Museum is well worth spending time at, also, with its Iron Age Village and Roman bathhouse. So, come to see the Blue Flag seaside at Withernsea!